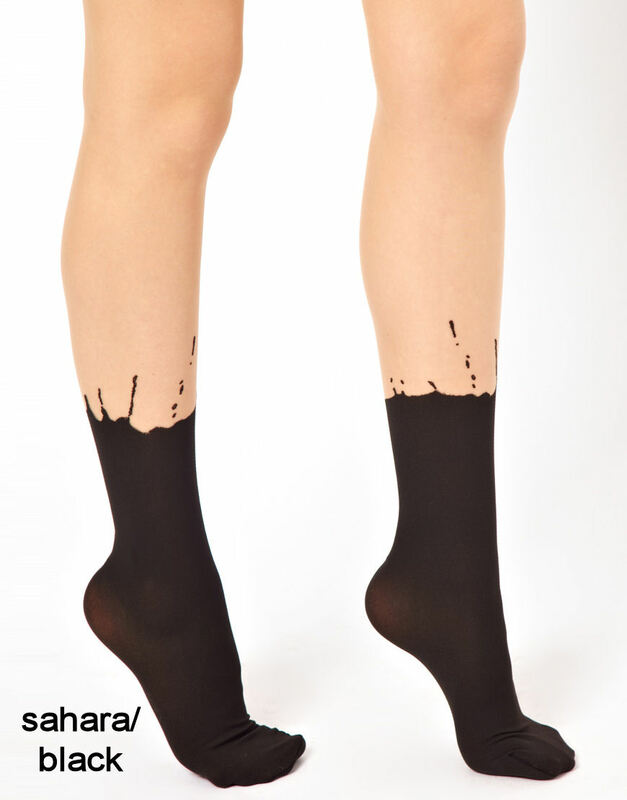 An eye for the unusual: sheer tights with an opaque foot-part that looks like a short sock. The cleverest aspect of this design is the irregularly shaped top of the ,socks'. 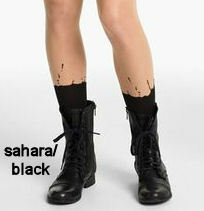 Particularly trendy worn with high-heeled sandals. The matching ready-to-wear collection also plays with this unusual design idea. 15 den. Material : 62% polyamid, 29% polyester, 9% elastane.